The triumvirate of the title is not one of the infamous magistratures of ancient times but a contemporary group of individuals. We are talking about three capable entrepreneurs of Bingen (close to Sigmaringen), which share common interests, despite their different origins. They are all involved in wood working in different contexts and diversified aspects, but with a shared characteristics: the three companies are a local institutions and their owners have a weakness for the Italian machines produced by the SCM Group. SCM fever has spread amongst our triumvirate of Treppen und Geländer Wiehl, Holzbau und Zimmerei Brunner and Möbelschreiner und Architekt Pahl. 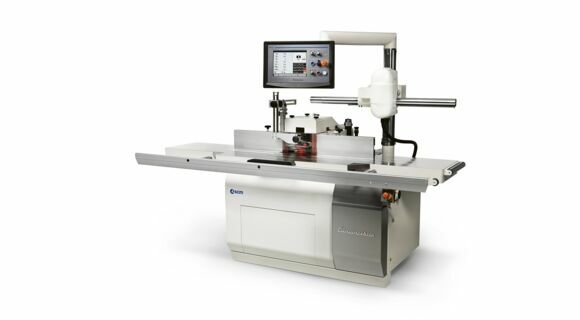 The three companies continue their reliance on so-called standard machines for their production, along with or in addition to numerical control machining techniques. They all place a great deal of importance on aspects such as high technological content, reliability and prestigious design. Let’s examine them in detail. The managing director Jörg Wiehl does everything he can, as partner and reliable supplier, to meet the requirements of his long-term clients, which mainly consist of manufacturers of prefabricated houses and builders as well as carpenters and joiners. This means on the one hand, perfectly constructed stairs down to the smallest detail, and on the other utmost punctuality in deliveries. The company’s inspiration can be found in its mission (“We want to be a modern company focused on the future”) and in its quality management system, which complies with the latest version of the standard DIN EN ISO 9001:2015. 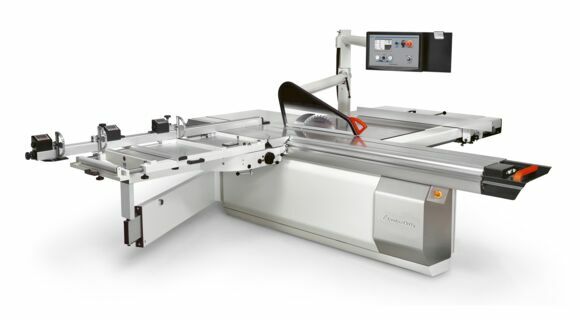 Machine in composition 5 including left vertical spindle equipped with automatic horizontal adjustment; it allows to process sequence of pieces with different width from 25 up to 260 mm, without stopping the machine for a high saving of time. Superset NT is provided with Mobile 10 electronic control for the management of 5 electronic positioning axes, MDI function permits the adjustment of manual axes by means of interactive messages, guiding the operator in every single operation. The Superset NT’s customer is provided also with SET-UP system, guaranteeing easy and quick profile change, because at every tool change corresponds only one adjustment. In order for the company’s consolidated expertise in stairs to emerge convincingly the client must know and experience the birth of his stairs: from the tree trunk all the way through the design and construction of the finished stairs. All this begins by entering the design studio which offers over 20 different variations of stairs and by visiting the company. On that occasion the dream stairs are assembled and designed with the support of a professional consultant. 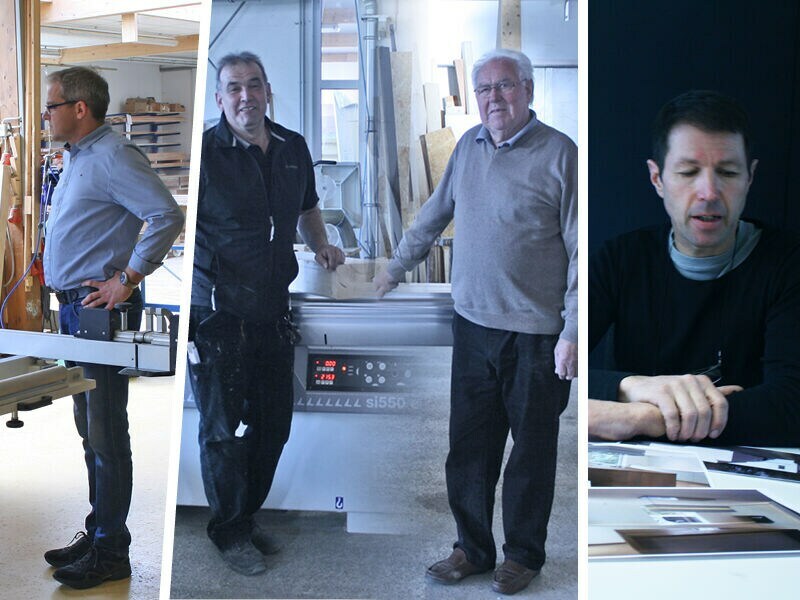 The master carpenter Klaus Brunner boasts a tradition of over 150 years. As soon as his son Kevin completes his studies in project management he will become the fifth generation of the family in the business. Versatility is an aspect that marks out a woodworking company: roofs, walls, new constructions, renovations, the company becomes the reference point for anything, including direction of works and relative coordination up to building licences. His company works mainly with regional private clients within a radius of 20 km and can rely on positive word of mouth feedback. After a terrible fire in October 2010, which caused damages estimated in the millions, the company had to equip itself with new machines. This is when SCM stepped in and promptly supplied all the basic fundamental machines. “Thanks to the support and excellent consultancy of the SCM area manager we had a clear idea of which machines we would have needed and that we would be able to have delivered and installed quickly. 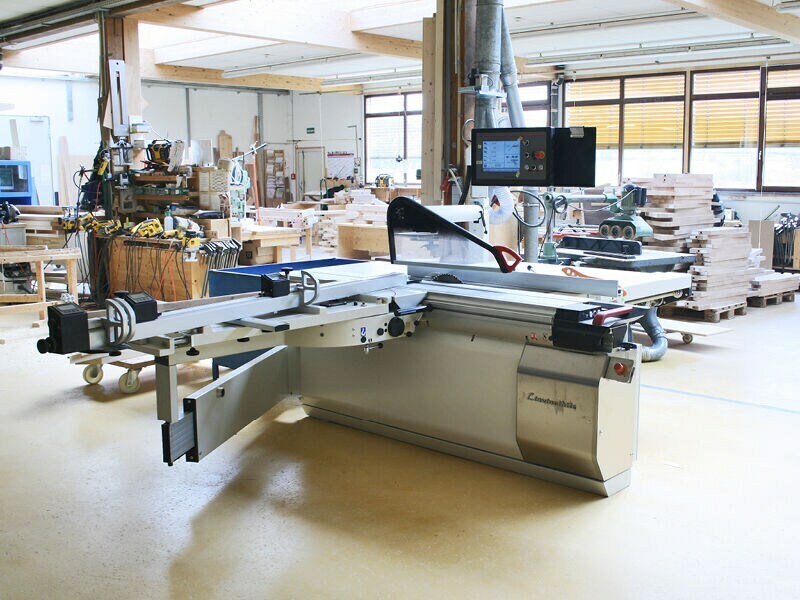 Just four months from the fire we were fully operational”, this is how Klaus Brunner, the owner, explained how he chose to re-equip his carpentry shop. “Despite our company’s demanding requests we have never had difficulties with SCM machines. They are sturdy and simple to use, so much so that two of our employees immediately understood how they operate”, says the master carpenter, satisfied with his choice. For him: “nothing is impossible!”. This aspect is also important for a family run company that obtains the best results by “working together – celebrating together”. Christoph Pahl is a joiner, architect and supplier of services. As building contractor he can provide customers with a complete package: from designing to construction. “For me the aesthetics, the tactile and the acoustics are all equally important. In a time of surfaces and superficiality, such as the laminated-craze for example, there are still people who want to see, touch and hear the materials”, this is the principle that guides Cristoph Pahl in his work. One could almost say that he manages two different activities under the same roof: wood working workshop and architect’s office. This allows him to hear his customers’ ideas, from which he develops and produces creative and functional solutions which he then puts into practice, supervising the entire design cycle all the way through the construction. In this process he places great importance on the originality of the design and on utmost quality. Customers must always come back enthusiastic, “and they do when they are satisfied”, he states with conviction. The aim is to express, with the configuration, the whole philosophy that determines his process. Which begins by purchasing the wood directly from local forests, which he has cut in the sawmill and lets it dry in his premises. He then lets his customers choose their wood. Another rule: the type of wood is associated to the person, because they must be able to feel that their wood adapts to their use. And seeing as the tactile aspect is more important than the aesthetics: “the sound of the material is important” and: “my unique models always have the same level of uniqueness that mirrors the customer”. Artificial materials, which for him are plastic materials in general, are therefore disliked. Christoph Pahl’s concept includes the possibility of offering customised solutions at affordable prices. To do this there certain key aspects in machining the solid wood and in the painting process. Materials in panels are provided by a sub-supplier and the finished kitchen furniture is bought from a renowned manufacturer. When we referred to a triumvirate at the beginning, we meant a friendly relationship between three capable entrepreneurs that successfully run their companies inspired by lofty principles and excellent machinery. A positive example also for modern times.